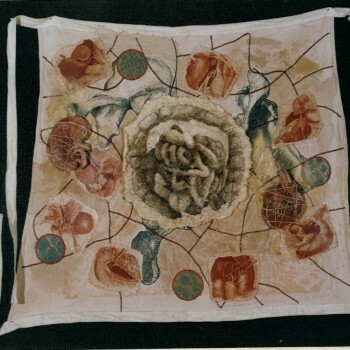 The Dissection was a series of prints completed at the University of Cape Town as part of a MFA study between 1993 and 1995. The prints were theoretically concerned with the body as a site of anxiety in an age of computer disembodiment and paranoia. 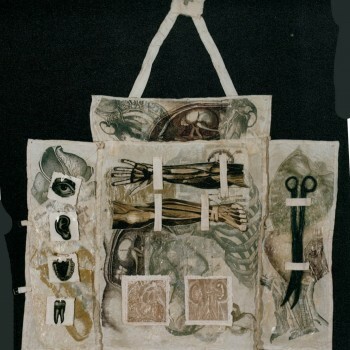 Of primary interest were issues of authorship, representation and control of the body image, and the work focused on the influence of medical illustration on the lay perception of the internal body, and the way in which the image of the body has been reduced and fragmented to an abstract collection of parts. 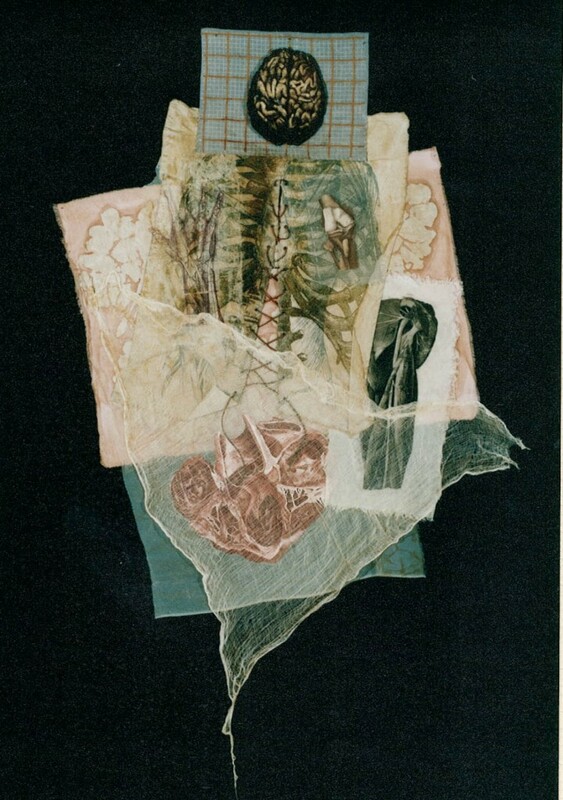 A concern was with the space between the imagined interior and the somatic reality: the move from the body as private space to public image, which is filled by medical illustration. The project responded to the Cartesian legacy, which is in part responsible for the disassemblage of the body image to a series of divisible parts (the same fractured state that persists in the computer epoch). It was also informed by issues surrounding the act of representation, examining the relationship between active representor and passive representee. 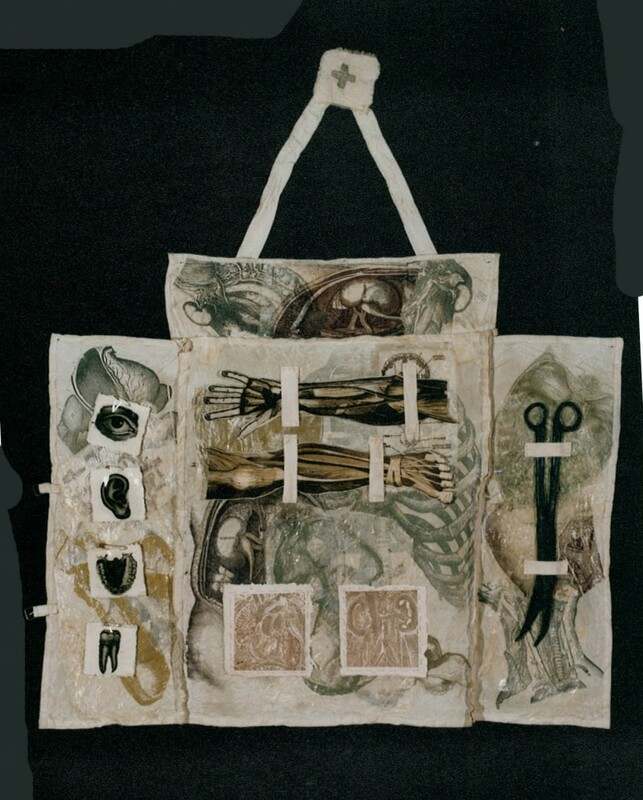 Medical illustration forms a significant part of printmaking history, allowing for the reproduction and dissemination of the body image, , meaning and interpretation residing in the image of the body rather than in the body itself. Source material for the prints was largely taken from 18th and 19th century engravings and addresses this mediated intervention. The process of fragmentation dictated the formal construction of the prints. They operated within a quasi-collage framework, isolating and overlaying images. Collage creates an equivalence and neutrality between images and allows for simultaneous viewing. 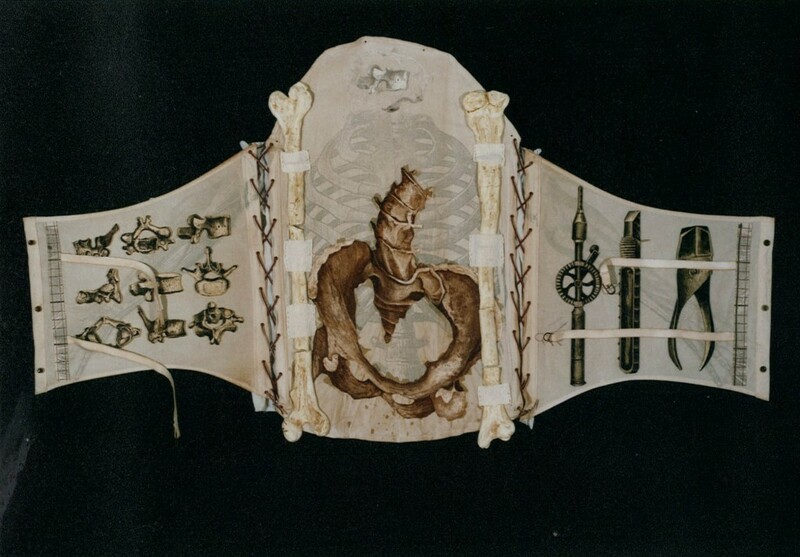 The fragmentation of the body by medical illustration is reconstituted to an artificial body through this process. 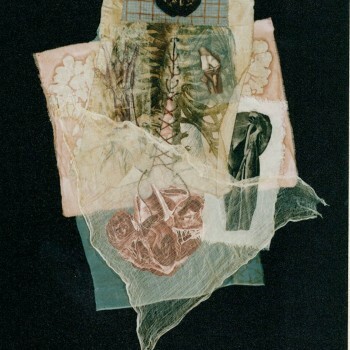 Collage forms a symbolic unity between synthesis (stitching and sticking) and fragmentation (tearing, assault, amputation). The prints extended the boundaries of traditional printmaking. 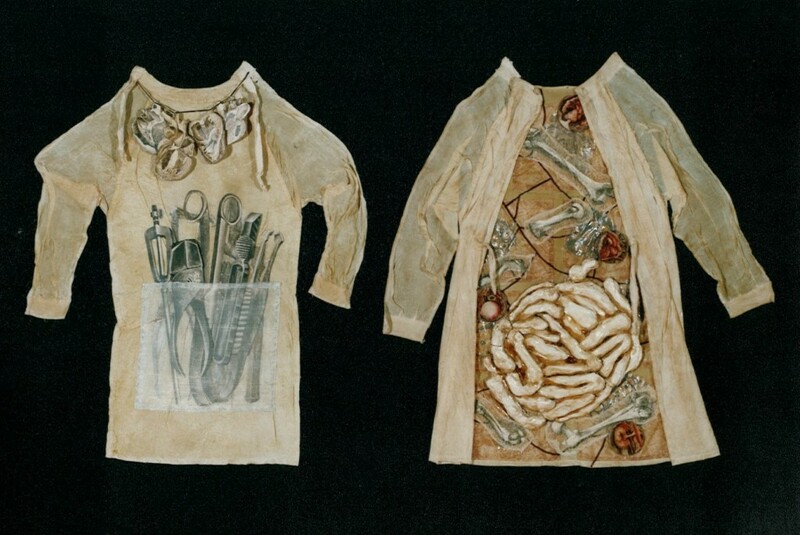 Fabric took the form of medical garments, and thus the format became the image. 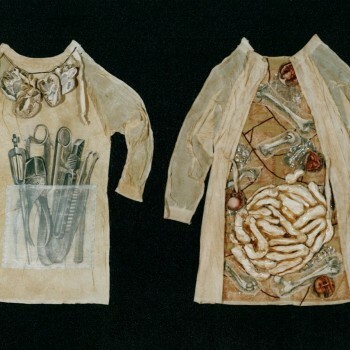 They utilised a variety of materials, combining screenprinting, etching and collograph, and were printed onto fabric and various transparent papers. Materials used act as metaphors for the body. Resin, polyurethane foam, wax, varnish and starch allude to body fluids, which when set, form an impermeable layer – sealing and protecting the ‘body’. 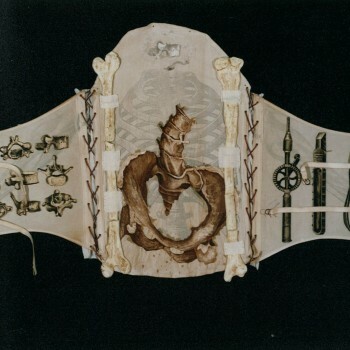 The use of stitched fabric makes a visual connection with skin – veiling and concealing, and subject to incisions and repair. Castle of Good Hope, Cape Town. January – April l 1996. Cross Section. Bellville Association of Art. 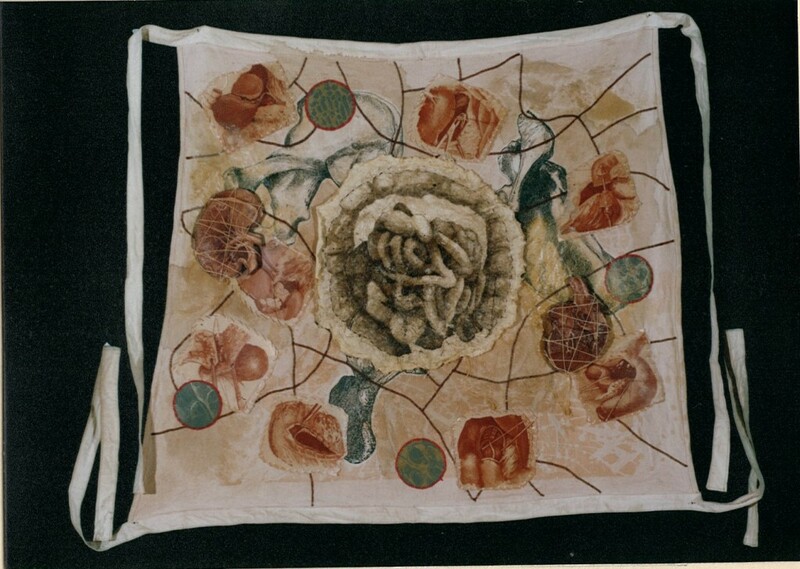 (Three-person exhibition with Berni Searle and Wilna Coetzer) 1996. Stellenbosch staff exhibitions. Bloemfontein & Stellenbosch. 1996. Contemporary Cape Town Printmakers. Civic Theatre. Johannesburg.1996. Under the Mountain Exhibition. Canberra, Australia. 1993.